Thailand is likely to face a challenge at the World Trade Organisation (WTO) from Brazil over subsidies for sugar producers, according to local media. The Brazilian side said the Thai government had given support to domestic cane growers and sugar mills, indirectly causing the decline of sugar prices globally and leading to losses estimated at 1.2 billion USD per year in Brazilian sugar revenue. 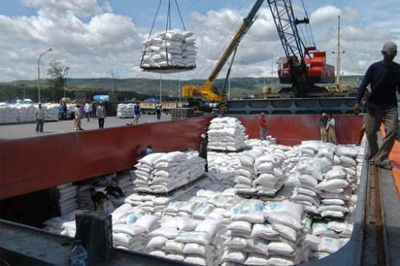 Brazil said Thailand's favourable policies towards its sugar sector had the effect of raising the country's exports as a share of the global market from 12.1 percent to 15.8 percent in the past four years. Over the same period, Brazil's share fell to 44.7 percent from 50 percent. Although WTO cases take years before a ruling is reached, the move could shake up the global sugar market, given that Brazil and Thailand are the world's two largest exporters of the sweetener. Last year, Brazilian sugar producers said they were gathering evidence to launch a case against Thailand and India for subsidies . In response to the Brazil’s accusation, the Thai Industry Ministry said that the government gives no subsidy and is consistent with trade agreements./.